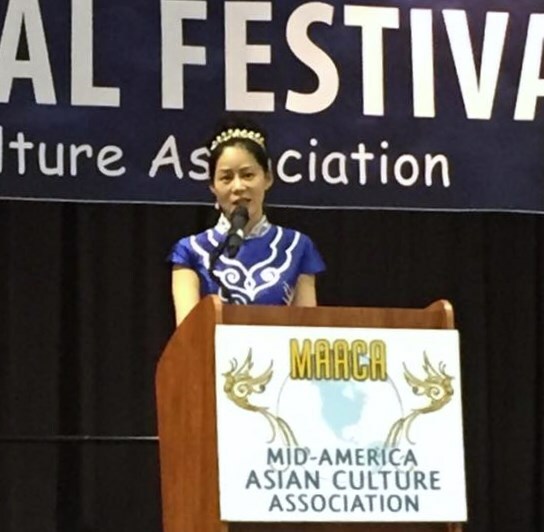 On behalf of the Board of Mid-America Asian Cultural Association, we want to extend my deepest appreciation and gratitude for your support and enthusiasm for the third annual Mid-American Asian Culture Association Asian Culture Festival that took place on April 23, 2016 at Olathe East High School. With your support we expanded the festival and were able to provide a wonderful cultural experience to more than 9600 guests this year. This has been by far the most well attended festival we have held to date. All of this is because of the our 165 volunteer hard work and long hours each of volunteer contributed to making the festival a wonderful experience for the families that attended. We are grateful for our volunteer time and commitment and appreciate all volunteer very much. We would like to extend a special Thank You to Black and Veatch our main sponsor for the leadership they have taken in supporting MACCA’s efforts in providing cultural enrichment to our great region of Kansas City.We are grateful to Mayor Michael Copeland, of City of Olathe for his ongoing support and recognition of MAACA. The City of Olathe and Olathe East High School have been generous hosts for the festival. Thanks David Hung , Senior Advisor of White House Initiative on Asian Americans and Pacific Islanders”, Thanks Brad Li, General manager of ZTE (USA), Thanks our sponsor Sprint , Garmin , Burn& McDonnell, Bank of Blue Valley , UMB bank, fox4, 41Action news, Kansas star. MAACA would also like to extend our appreciation for the 20 partner countries¡¯ that are the heart and soul of our organization and contribute exemplary leadership and passion to our mission of Asian solidarity. We look forward to growing with all of you in the year 2016 and beyond.